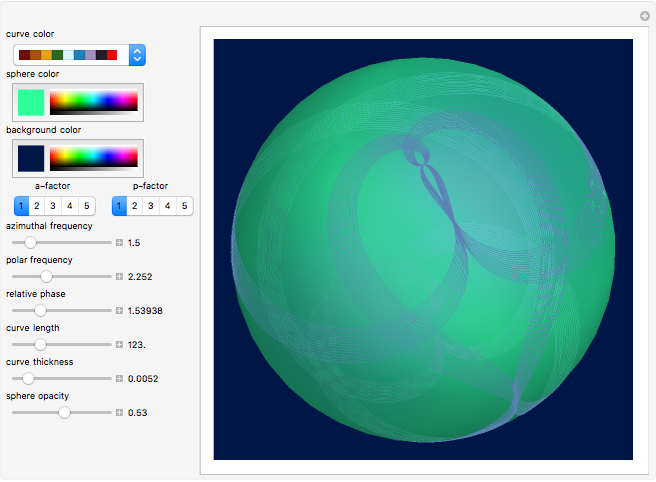 Explore and create your own spherical artistic designs. 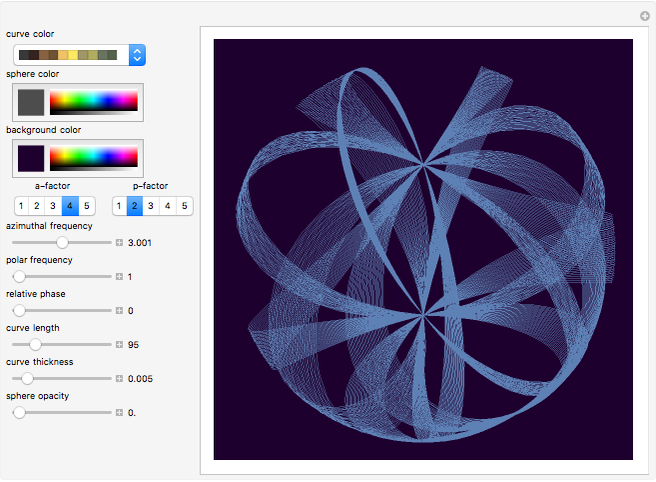 Here Lissajous curves are generalized to spherical coordinates. Azimuthal and polar angles undergo oscillations while the radius is kept constant. Although the parameterization given here seeks to emphasize the artistic side of Lissajous patterns, other spherical parameterizations were suggested for practical applications in MRI imaging; see the Details section for more. Browse the snapshots for examples of patterns. Rotate the sphere by dragging it with the mouse. To speed up the evaluations, set the opacity control to maximum value 1. A practical application of spherical Lissajous curves for MRI imaging is described in M. Ullisch, T. Stöcker, M. Elliott, K. Vahedipour, and N. Shah, "Rigid Body Motion Detection with Lissajous Navigator Echoes," Proceedings 17th Scientific Meeting, International Society for Magnetic Resonance in Medicine, 2009 p. 4650. 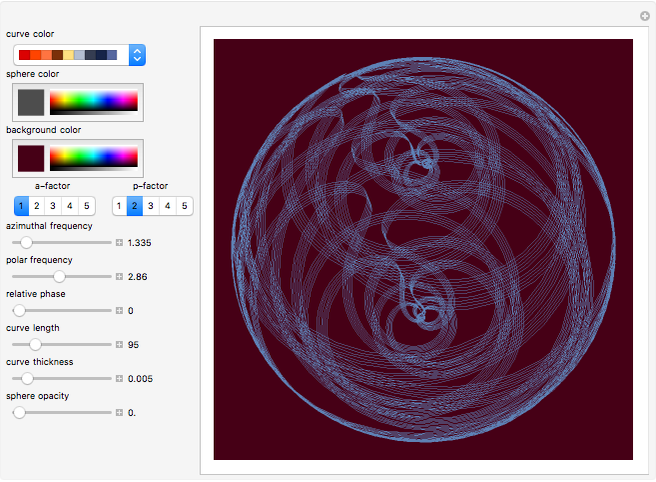 Vitaliy Kaurov "Lissajous Patterns on a Sphere Surface"